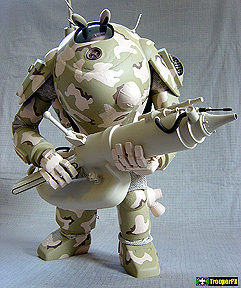 Roughneck Joe© Mobile Infantry "Powered Armor"
for the Mobile Infantry in Starship Troopers. These are customs in progress. About the KSA-C4/MR-9 Powered Suit.